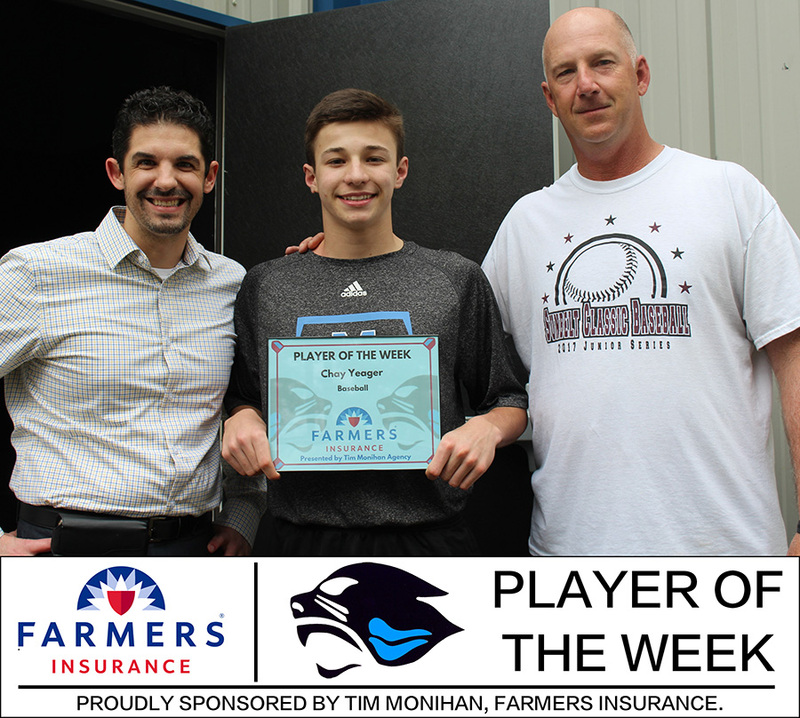 Tim Monihan and Farmers Insurance have named sophomore Chay Yeager the first Player of the Week recipient for the spring sports season. Yeager has made an impact on a varsity team that currently sits 7-1 on the season. After playing some stiff non-region games, the Panthers shut out Fayette County 29-0 in a three-game region series. Coming up, the Panthers play at East Coweta tonight at 5 p.m. On March 2, the Mill hosts Denmark at 10 a.m. and Ola at 5:30 p.m.